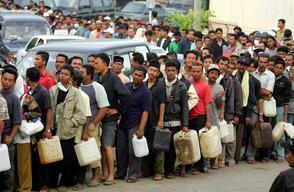 People line up for gasoline in the Indonesia city of Banda Aceh on December 31, 2004. 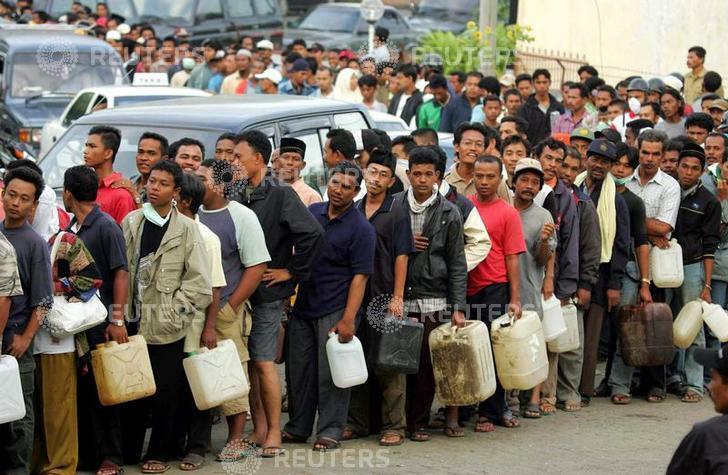 Acehnese people need gasoline for search their colleagues. Asia's tsunami death toll soared above 125,000 on Friday as millions struggled to find food, shelter and clean water, while the world began what may prove to be the biggest relief effort in history.